Cardiff City wanted Emiliano Sala to take a commercial flight to Wales, club chairman Mehmet Dalman has said, with police having called off a search for the missing player for a second day. 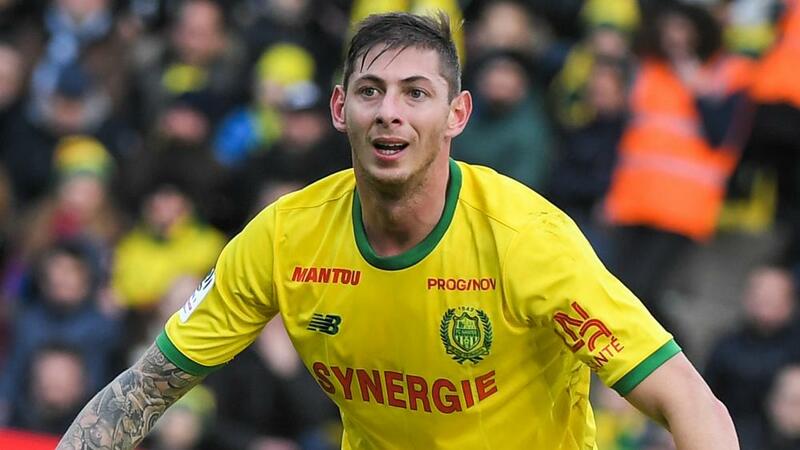 Sala, who was confirmed as Cardiff's record signing last weekend after opting to leave Ligue 1 side Nantes, was on a private aircraft that disappeared near the Channel Islands on Tuesday (AEDT), the French Civil Aviation Authority confirmed. After a search throughout Wednesday (AEDT) for Sala and the pilot, named as Dave Ibbotson, Guernsey Police stated "the chances of survival are at this stage, unfortunately, slim" if there had been a crash landing on water. The operation resumed late on Wednesday, with a focus on a scenario whereby those on board had managed to board the plane's life raft, but police postponed their search at 1710 local time after finding "no trace" of the aircraft. There had been speculation around Sala's decision to take the small Piper Malibu plane to Cardiff, with some reports suggesting the flight had been organised by the club, but Dalman says they had wanted the 28-year-old to travel to Paris before boarding a commercial flight to the Welsh capital. "We have looked into this quite thoroughly and it's evident that Cardiff took the responsibility to offer the player arrangements, which would have been commercial flights, which would have meant getting the train from Nantes to Paris and then Paris to Heathrow and driving up," he said. "The player's reaction to that was that he wanted to make his own arrangements, which would've been much quicker. We will continue to collect data to try to understand exactly what happened at this end. "Whether he did it from a Nantes point of view or with his agent, we are trying to ascertain that. We will reach a conclusion in two days. "Everything points to a tragic accident." Dalman confirmed Sala's sister is travelling to Cardiff to meet with chief executive Ken Choo and manager Neil Warnock. "It has been a difficult couple of days, but the family of football has really been very supportive, not just within Cardiff but across the world. We are very grateful for the support we have received," he said. "It's just tragic. We will continue to hope and pray but we also have to be realistic. It doesn't look good at this very moment. The sister of Sala is on her way to Cardiff, where Ken Choo and Neil will meet her and talk. This is a must: we must show our human side in such tragic circumstances. "You can't train for an event like this. Everyone is pulling together."